Paradigm shift in DG Maintenance. By monitoring the DG operation, the fuel gets used efficiently; the overall health of DG stays within desirable limits. This aids in reducing the operating cost by 30-40%. By analyzing the fuel consumed and output generated, efficiency of each DG could be determined. Due to continuous monitoring, dip in efficiency can be identified and fixed without much delay. The metrics observed and timely reports generated help in taking critical decisions. In case of multiple brands of DG installed, efficiency reports would help in future DG purchase decision. The trend metrics help in comparing the performance levels of DGs at various sites and these insights could aid in management’s decision-making process. 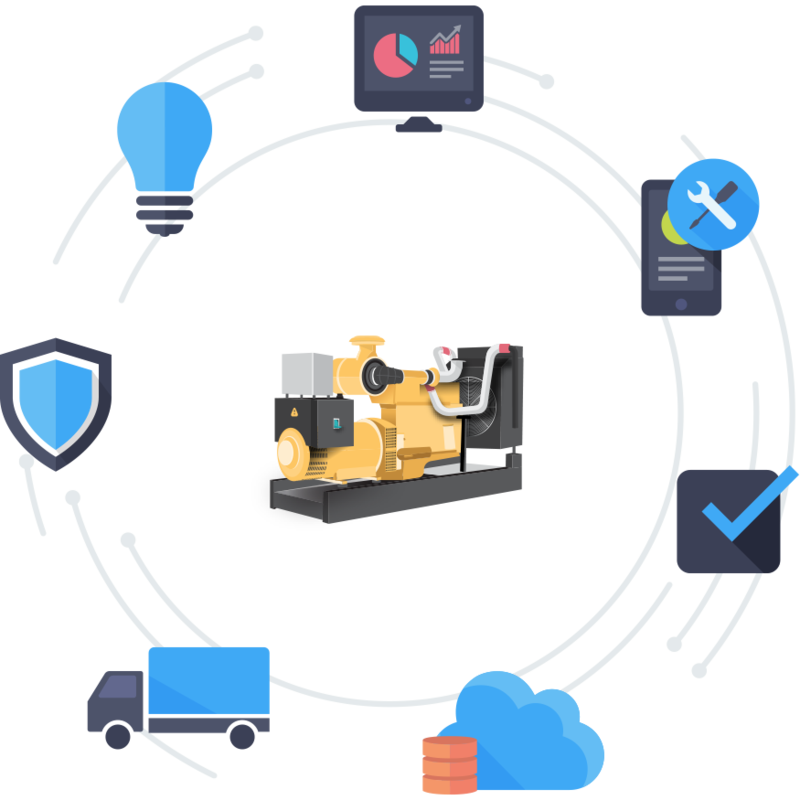 In the case of generator renting agencies, DG monitoring solution enables monitoring and management of several generators with a single tool. The software could also help in fleet management of these renting companies, which move their DGs to several locations. This reduces operational hassles.